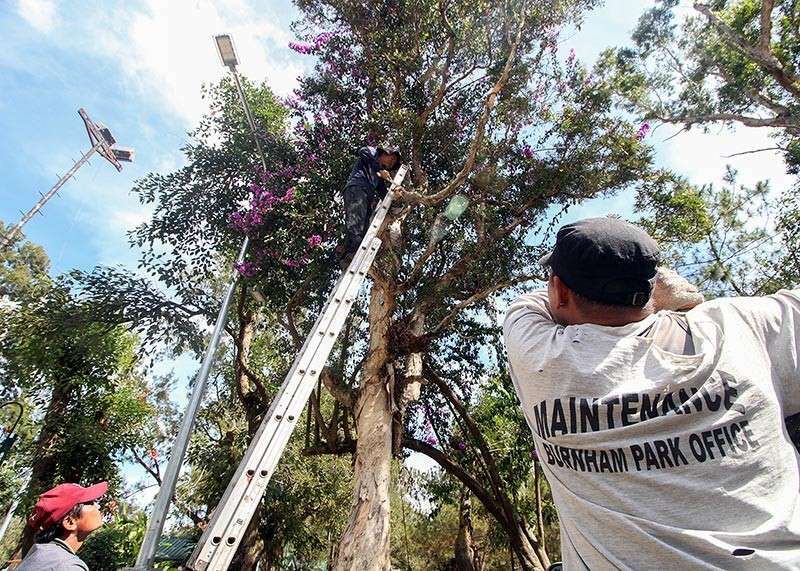 THE Baguio City Council has thumbed down the use of the skating rink tree park area for the flower festival trade fair at Burnham Park. Members of the council voted on it, with Councilor Datuin wanting to allow the annual month-long Baguio Blooms at Burnham Park. Councilor Faustino Olowan said while the bidding and award for the trade fair was finished, organizers have yet to ask the legislative body's permission to use the tree park area of the skating rink. Opposition was likewise raised by Vice Mayor Edison Bilog, who pointed out that the area is filled with trees, which may be damaged. He said the event goes against both the environment code and the trade fair ordinance of the city. Datuin said the trade fair is an annual and institutional event of the festival spearheaded by the Baguio Flower Festival Foundation Incorporated, but failed to get the favor of colleagues in the council during Monday’s regular session, January 21. Datuin, who sits as Baguio Flower Festival Executive Committee chairman, said a bid of P13 million has been set for the Burnham trade fair won by Maribel Chagwaten, who also managed the event last year. Datuin said there were six bidders who participated last week and they were happy that the P11-million bid from last year has been topped and that they will earn more for the city. Councilor Joel Alangsab also aired his opposition and asked: “Di ba matutuloy ang Panagbenga pag-walang trade fair?” He said the win of Chagwaten might be put in question as she managed the previous year’s event. Datuin assured the bidding was conducted in a fair and transparent manner, attesting he was present and saw to it all was in place. The council nixed the use of the Juan Luna drive and said no roads will be closed so as not to hamper traffic flow. Councilor Leandro Yangot said a different area has to be used, away from the tree park. “Let us do something heroic for once and save Baguio,” Yangot said, adding the trade fair can be put in an area where there will be no trees affected. Yangot cited the annual PEZAlubong trade fair during the Christmas season, with its venue far from the town but still patronized by many. Voting no to the trade fair at the tree park were councilors Yangot, Peter Fianza, Michael Lawana, Elaine Sembrano, Alangsab, Arthur Allad-iw, Levy Lloyd Orcales, Edgar Avila, Leah Fariñas, Olowan, Bomogao and Mylen Yaranon. Councilor Francisco Roberto Ortega VI was absent.